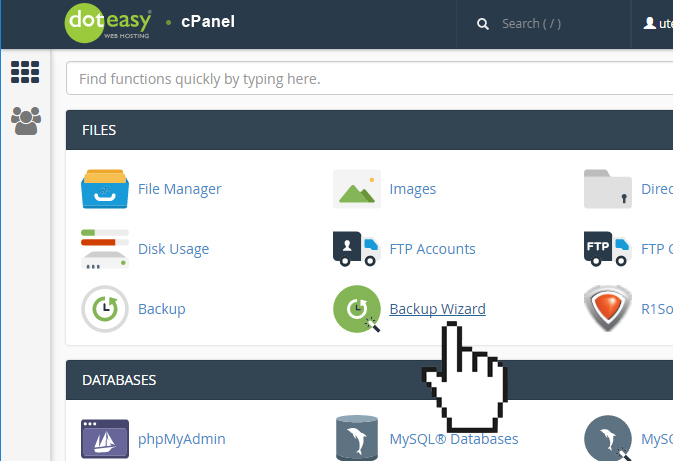 When you are creating backups in cPanel, you are given a couple options: Backup or Backup Wizard. The Backup Wizard provides the same functionality as the Backup option, but for many users, it is much easier to use. The Backup Wizard is a user-friendly interface that lets you create a backup of your entire website or parts of your website. You can also restore your website using the most recent backup file(s).